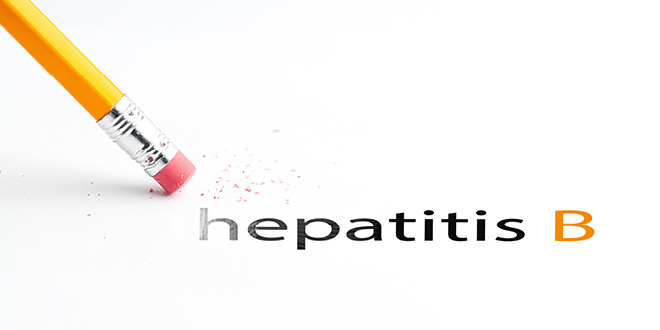 There is really just no way to sugar-coat the impact hepatitis B virus has on humankind. It can be a debilitating and potentially fatal viral infection, a take-over of the human host’s liver cells, affecting men, women, children and babies. Statistically, this scourge affects more than 2 billion people (1 out of 3 people) worldwide. Approximately 400 million of those suffer from the chronic form of HBV, which means they have had the virus for a long period of time and been unable to eliminate it from their body. Further to this, it is estimated that 1 million of HBV sufferers die each year from disease complications, such as cirrhosis and liver cancer. Years and years of research and clinical trials have been carried out, and countless dollars have been spent, trying to find the right treatment to cure its sufferers from this viral pandemic. Whilst there have been some advancements to those ends, current medications rarely cure the hepatitis B virus, and completely eliminate it. Very recently, a group of Australian scientists at the Walter+Eliza Hall Institute of Medical Research published their exciting preliminary findings, suggesting they have uncovered what they see as a potential cure for the hepatitis B virus. This new treatment has so far proved 100% successful in eliminating the infection in hundreds of test cases involving preclinical models. It involves the combination of the anticancer drug birinapant and an antiviral drug such as entecavir. Regarding the initial findings, Scientist Dr Marc Pellegrini, from the Walter+Eliza Hall Institute made this statement: “Birinapant enabled the destruction of hepatitis B infected liver cells while leaving normal cells unharmed. Excitingly, when birinapant was administered in combination with current antiviral drug Entecavir, the infection was cleared twice as fast compared with Birinapant alone...”. Here is how it works: A normal healthy liver cell would usually respond to a typical invading infection by giving the signal to “self destruct” or to die, in order to save the others. It sounds very heroic! This normal process is called cellular apoptosis. However, when the cell is infected by the virus, that virus commandeers the signalling, and tells the cell to “stay alive”, effectively allowing the virus to keep on living and reproducing itself. However, the anti-cancer drug birinapant forcibly flips the switch back and signals the infected cell to die – just like a normal healthy cell would do. Smart isn’t it! Human clinical trials have begun at multiple sites in Australia and New Zealand, still being in the early stages, currently at phase 1/2a. Although these initial trials are predominantly for safety and tolerability, patients are also being monitored for reductions in HBV surface antigen, indicating therapeutic activity. Let’s hope these new clinical trials are able to produce positive results and safety for humans. In the meantime however, while we wait to hear the outcome of the human clinical trials with this new drug combination, it is vital to keep your liver healthy and make sure you are not low in the mineral selenium. A Chinese study in 130,471 people over eight years showed that selenium reduced the risk of liver cancer in people with viral hepatitis. The group who received supplemental selenium had a 35.1% reduction in the incidence of primary liver cancer compared to the placebo group, which did not receive selenium. When selenium supplementation was discontinued, incidences of primary liver cancer began to increase; indicating that continuous intake of supplemental selenium is essential to sustain its protective effect against liver cancer. In a sub-group of this study that evaluated 113 patients infected with the hepatitis B virus, the daily intake of 200 mcg of selenium resulted in zero rates of liver cancer, compared to 7 liver cancers in the placebo group (not receiving selenium supplements). When the selenium group stopped taking the selenium supplement, primary liver cancer rates began to increase. Another study examined the association between plasma selenium levels and the risk of liver cancer (hepatocellular carcinoma) among chronic carriers of hepatitis B and/or C virus in a cohort of 7,342 men. This 5.3 year study showed that those with low blood selenium levels were 47% more likely to develop primary liver cancer compared to those with higher levels of selenium. The use of a liver tonic such as LivaTone Plus will support your liver function. The most effective ingredients for a liver tonic include the herbs St Mary's thistle, dandelion and globe artichoke. Other ingredients should include B group vitamins, folinic acid and the amino acids taurine, cysteine, glycine, glutamine and glutathione. Additionally, here is a liver friendly tonic for you to make in your juicer to assist liver health. Wash, trim and chop all ingredients and process in a juicer. Drink 2 to 3 small cups per day. Journal Reference: Gregor Ebert, Simon Preston, Cody Allison, James Cooney, Jesse G. Toe, Michael D. Stutz, Samar Ojaimi, Hamish W. Scott, Nikola Baschuk, Ueli Nachbur, Joseph Torresi, Ruth Chin, Danielle Colledge, Xin Li, Nadia Warner, Peter Revill, Scott Bowden, John Silke, C. Glenn Begley, Marc Pellegrini. Cellular inhibitor of apoptosis proteins prevent clearance of hepatitis B virus. Proceedings of the National Academy of Sciences, 2015; 201502390. http://www.pnas.org/content/112/18/5797.abstract. dear sir my brother is suffering from hepitatis b..pls help us how he wll heal from this disease..we will b vry thankful to u if u solve my brother problem. hey im in uganda and im a patient how can i be helped? If you have Hep B we recommend you take Selenomune 1 cap daily to reduce the virus in your body and prevent liver cancer. Raw juicing is also excellent for ensuring good liver health. There are a number of excellent juice recipes in Dr Cabot's book: 'Raw Juices Can Save Your Life'. I read about your cure and i am happy for you , my husband is also suffering from the same disease i would like to know more in detail about the cure you underwent . Kindly let me know what you ALT level were and the also the viral counts. My husband's is on the higher side and in the chronic stage, is it possible to cure at that stage. You said you were cured of this disease, did the disease come back? Or you have not gone for check up lately?